Presented here is the poetic heritage of Metropolitan Ilarion (I. Ohienko) `` Serving fellow man also serves God``. This religious poetry, which is able to create in man, thoughts and deeds inspired by a deep faith in God and daily selfless service to His ideals. It is on this path which I. Ohienko undertook to become Metropolitan Ilarion, before World War II. And since then, with his pen began to create more poetic lines, whose objective was the creation of a truly religious world, the desire to "help people become closer to God, to accept Him as their own Father and to unite themselves with Him." Metropolitan Ilarion undertook to establish the purpose of man on earth, which is to be in the service of others. 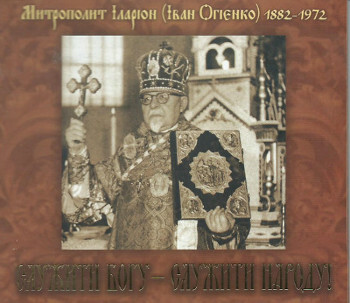 The thoughts of Metropolitan Ilarion inspired the present album created under the direction of Very Rev. 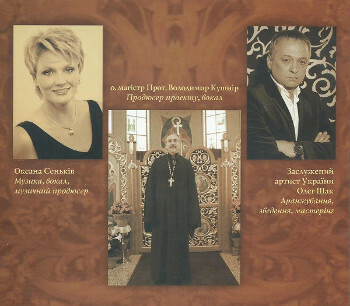 Volodymyr Kouchnir (music by Oksana Senkiv, arrangements by the reputed artist of Ukraine Oleg Shak). In addition to solos the album includes songs for duets, trios, and quartets. The CD can be purchased directly from Very Rev. Volodymyr Kouchnir. Cost of one copy - $ 15.00. 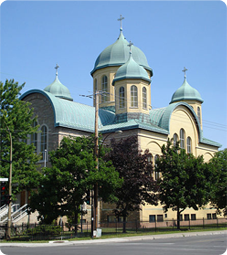 All profits will be directed to St. Sophie’s children Camp and Chapel which was consecrated on July 13, 2014, with the participation of Metropolitan Yurij and Bishop Andriy.